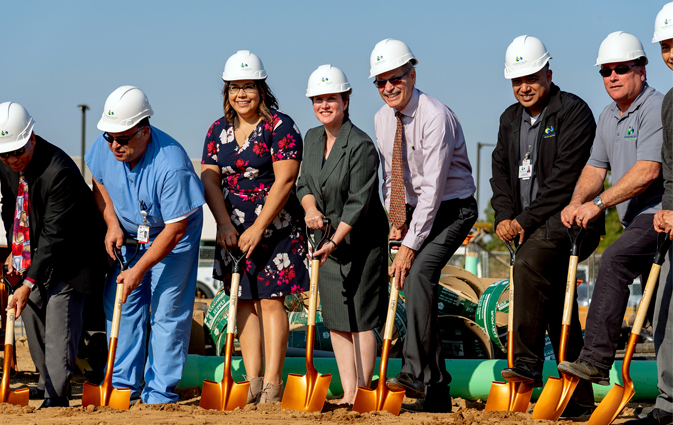 GVHC celebrated with members of the community, local politicians, and business leaders at the ground breaking ceremony for their new Northview Clinic, designed by TETER. 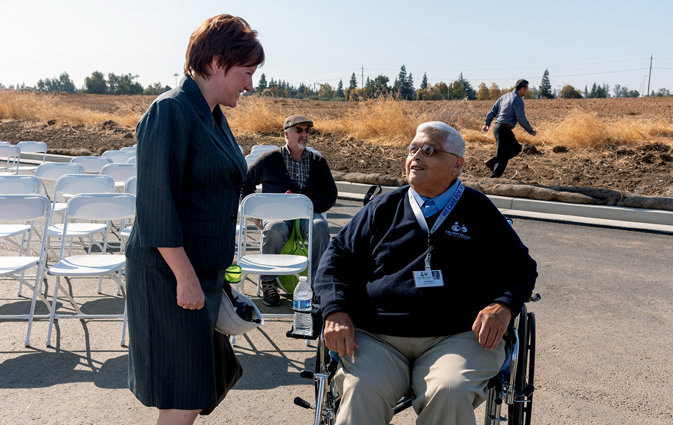 Erin Sanchez, TETER Architect of Record and Project Manager for GVHC’s new building, was thrilled to be part of this momentous event and plays a crucial role in its design. 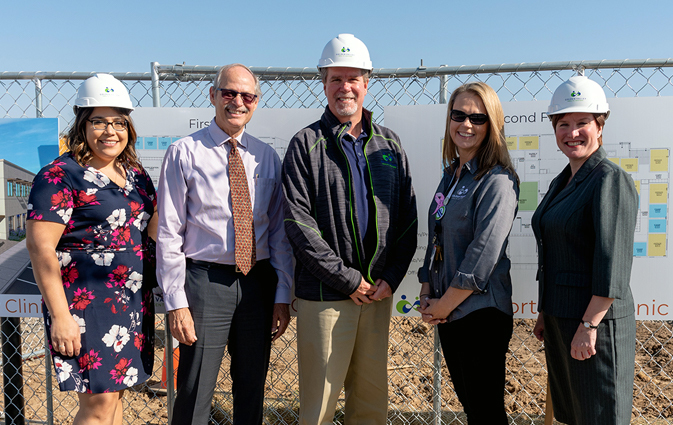 (L-R) Articia Rodriguez (TETER Design Professional), Lyle Munsch (TETER Architect & Associate), Tony Weber (GVHC CEO), Kassey Mosher (GVHC Foundation Executive Director), and Erin Sanchez (TETER Architect of Record and Project Manager). 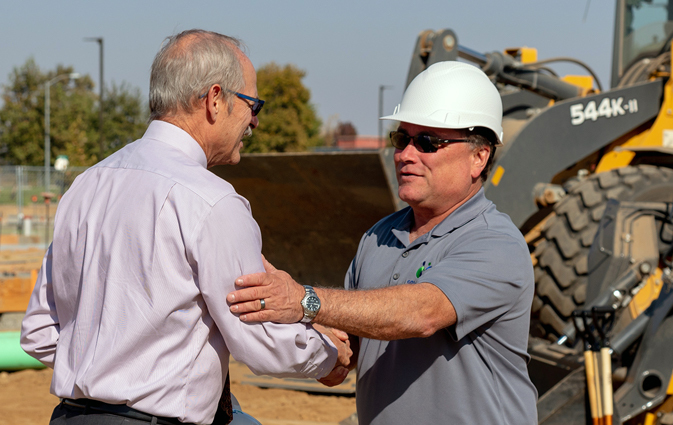 Gary Henson, Director of Facilities for GVHC, warmly thanks Lyle Munsch. 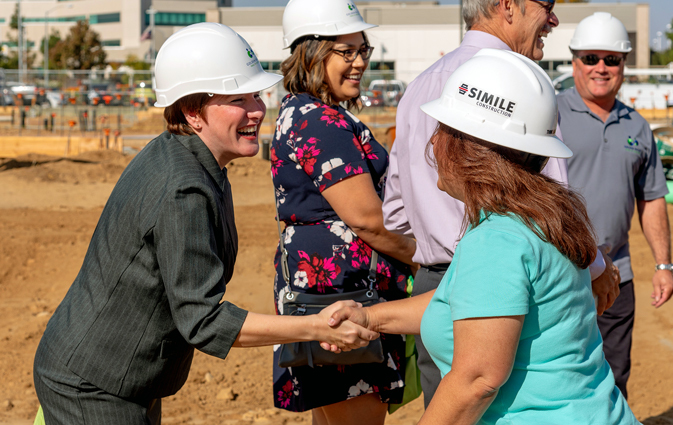 Erin Sanchez greets Tammy Hevron of Simile Construction Service, Inc.
(L-R) Mr. & Mrs. 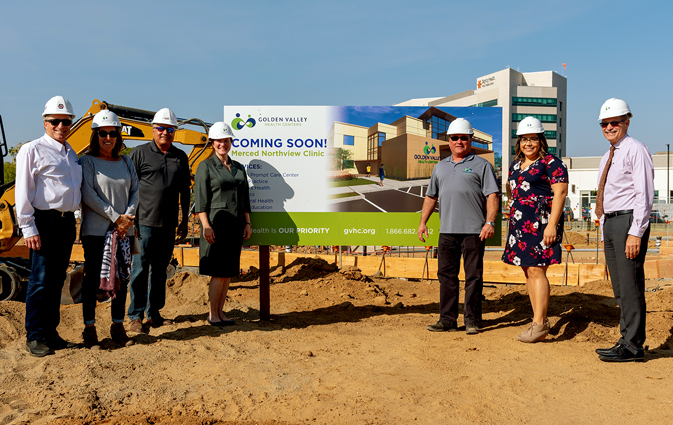 Guy Simile (President of Simile Construction Services, Inc.), Fernando Ramirez (Senior Project Manager at Simile), Erin Sanchez, Gary Henson, Articia Rodriguez, and Lyle Munsch. 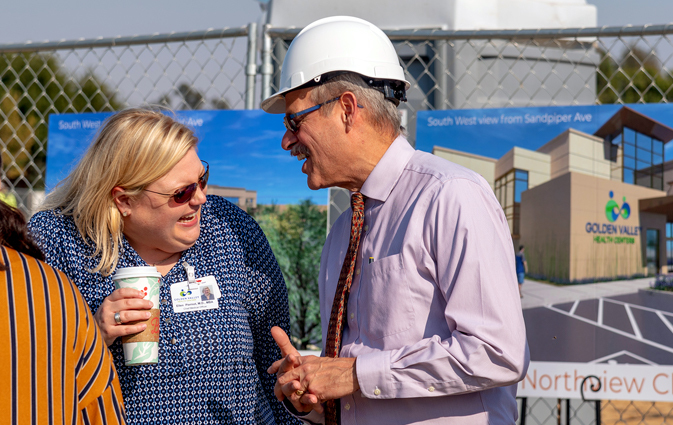 Erin Sanchez chats with Tom Martinez, GVHC Board of Director. 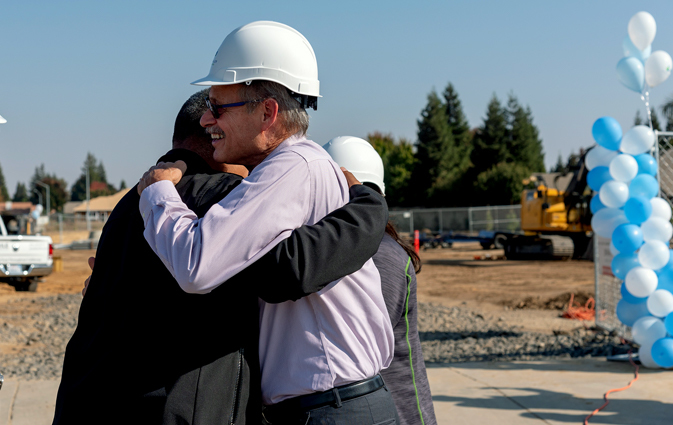 Lyle Munsch embraces Ruben Chavez, an old friend and Chief Operations Officer for GVHC. Lyle Munsch shares a laugh with Dr. Ellen Piernot, GVHC Chief Medical Officer. 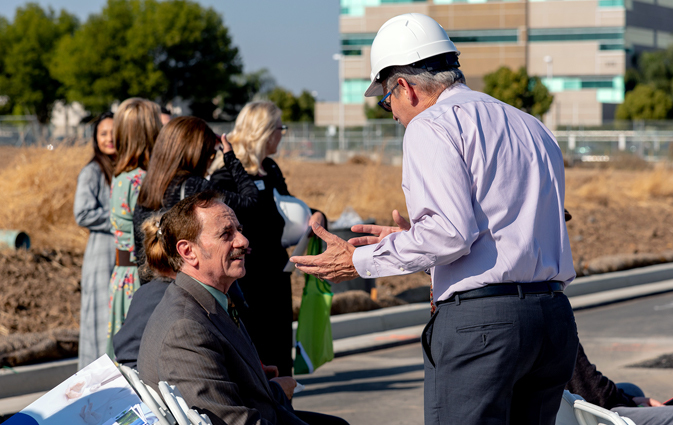 Michael Belluomini, Merced City Council Member, listens intently to Lyle Munsch explain the features of GVHC’s new clinic. 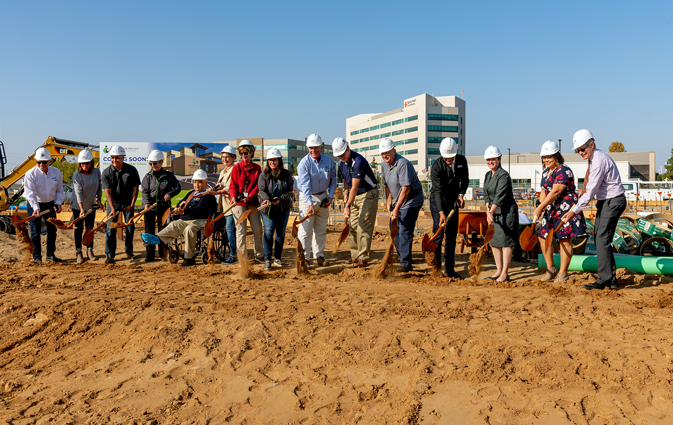 Simile Construction Services, GVHC’s Board of Directors and TETER break ground together.